Whilst personally I am finding it very hard to find the time to write up blog posts, the literary award scene continues to make announcements so I thought it timely that I bring you up to date with two Australian based awards. Helen Garner took home $25,000 for winning the Premier’s Prize. Awards are biennial so books published in 2016 and 2017 will be eligible for the 2018 Awards. The Queensland Literary Awards Shortlists were announced some time ago but the winners will be announced tomorrow so here is a listing of the shortlisted books. – Prize $10,000 plus manuscript development and publication with The University of Queensland Press. Runner up: At the judges’ discretion, up to three writing development mentorships will be awarded to the shortlisted entrants in this category. Runner up: At the judges’ discretion, up to three mentorships will be offered to shortlisted entrants in this category. I do have a few books I have read and written extensive notes on so I would like to review them here in the coming weeks, depends on how to find some time!!! 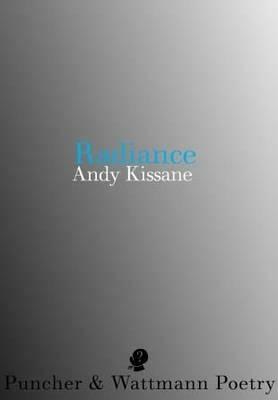 And today I look at the fourth collection from the list, Andy Kissane’s “Radiance”. Section I, opens with a Seamus Heaney epigraph, and then the poem “Flight” a lyric effort, warming you immediately to a connection to the natural world. We have the cold, (the bitter cold), breeze, sand dunes, grasses waving, migrating humpback whales, unnamed endangered species, simply close your eyes, take away your spatial connection and take flight. Yes lyric indeed. A number of the poems melancholy reflections on animals, with the regret of wild species in zoos making an appearance and then more worldly travels with child street vendors in Phnom Penh, children picking over garbage or suburban reflections, driving to an ice-skating rink, or crippled workers, or simply attempting to take a catch in cricket. The subject matter is varied. Section II features eight poems, all using the three-line stanza format, whether 30 or 42 lines, all dedicated to other poets like Keats, Shelley, Thomas, Woolf and each poem containing a pervading theme of death. In “Radiance” we have the poem “Against Forgetting” subtitled “Poetry Reading Kabul, 1999”, this was the period under Taliban rule where reading, public performance of poetry was strictly controlled, if not banned. …We arrive one after the other, aware of the danger, keen to keep our ears, our tongues. But we will not forget the line of Rūmī and Hāfez. We meet to read their poems, to breathe the air our ancestors breathed. The known and unknown mingle. How to describe this joy; this wonder that fills our minds, while our hearts break, yes, break open. Moving through to the description of poets as “those/whose blood is thick and cold with unfulfilled ambition” in “The Bluetongue as an Answer/To the Anxiety of Reputation”. The collection closes with the poet’s relationship being transferred from a woman to ‘the moon’. Opening with an epigram from Shakespeare’s ‘A Midsummer-Night’s Dream”; HIPPOLYTA: Well shone, Moon/Truly, the Moon shines with a good grace. Closing with poetry that is very much rooted in the current age, realist creations, prose poems that read simply and are not cluttered in shape or form or rhythm. Very much a poet after my own heart, with lines like that. A readable and enjoyable collection, yet another worthy inclusion on the Western Australian Premier’s Literary Awards Shortlist, which is turning out to be a very strong list this year. 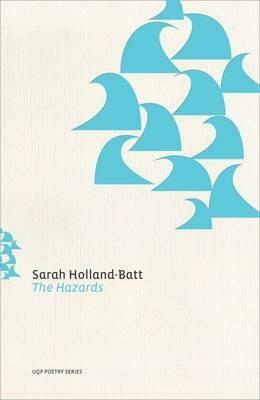 Tomorrow I will be back with the final review from the shortlist, Sarah Holland-Batt’s “The Hazards”. With yesterday’s review of poet Brian Blanchfield’s essays “Proxies”, and the recent announcement of the Western Australian Premier’s Literary Awards shortlists, I noticed that I had already read and reviewed two of the five shortlisted titles, so why not tackle the remaining three and put forward my views on the strongest contender for the award. Of course my views are totally amateur, have no alignment to any judging criteria, they are more a case of what I enjoy reading. If you are at all interested in my thoughts of the two shortlisted titles I have already read and reviewed simply click the title to take you through to my thoughts. 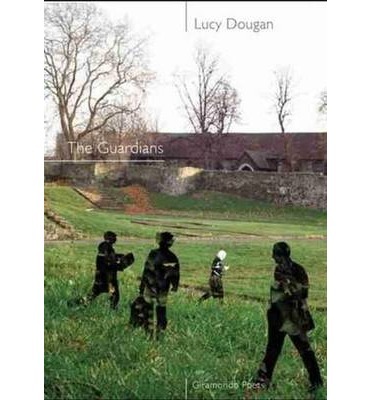 David Malouf’s “Earth Hour” also shortlisted for the Prime Minister’s Literary Award in 2015, and Lucy Dougan’s “The Guardians” which appeared on the 2016 Victorian Premier’s Literary Award shortlists. 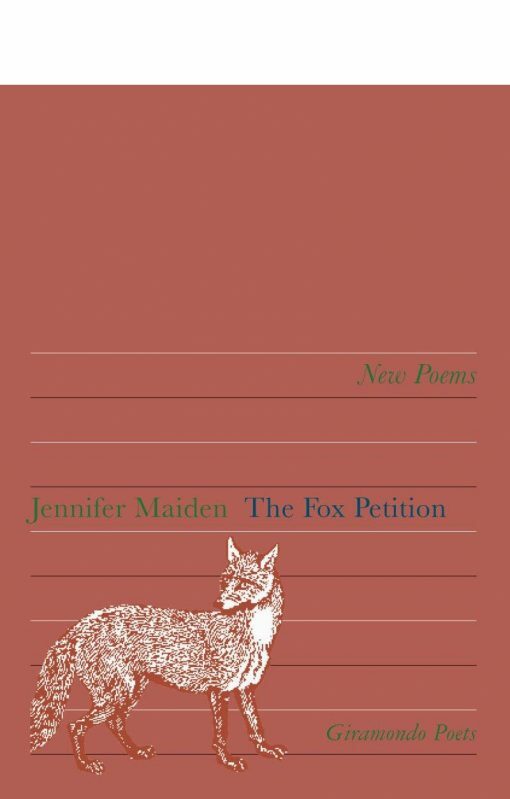 Over the next three days I will look at the remaining three shortlisted titles, first up is Jennifer Maiden’s “The Fox Petition”. The title itself a pointer to the content, with the fox (the introduced to Australia animal) being a refugee, an animal scored, hunted, despised, a bio-security nightmare. The collection opens with a petition (hence the title) to allow desexed vaccinated foxes as pets. In December 2014 the Minister for Primary Industries passed a Pest Control Order for red foxes, which meant the keeping of foxes in captivity illegal. Poetry linked to a political decision? If you think poetry and politics don’t mix then this is certainly not a collection for you. The seventeen poems in the collection vary in length from a single page to sixteen pages and are highly politically charged. Straight from a fox petition to Penny Wong and Gillian Triggs featuring as a female duet. For non-Australian visitors, Senator Penny Wong is a the Leader of the Opposition in the Senate (one of Australia’s two Federal Parliament’s) and Gillian Triggs is the Australian Human Rights Commissioner. In 2014 Gillian Triggs launched a “National Inquiry into Children in Immigration Detention”. At a Senate Estimate’s hearing Gillian Triggs revealed that she was offered a job as an inducement to leave her post and therefore not present her report on refugee children in detention. A highly charged collection indeed, protest poetry, activist writing and it is very interesting to see this collection shortlisted for a “Premier’s Literary Award”. But this is not just a collection of politically motivated poems, the politics is mingled with the ‘pastoral’. plant temples to ensure its resurrection. Again, for the uninitiated, Julie Bishop is Australian Minister for Foreign Affairs, and the reference to the ‘Bali two’ is when she pleaded with the Indonesian Government to overturn a death sentence on two Australian citizens arrested and charged with drug trafficking, her appeals were unsuccessful and the two faced the death squad in April 2015. Melissa Parke was an opposition member who had previously raised concerns about the Government’s proposal to send asylum seeking children to Malaysia, she has subsequently retired from politics. Very much like the Australian political landscape there are a number of poems that have long lines appearing to career out of control, but humour is includes with Sir Anthony (tony) Abbott and Queen Victoria appearing in discussions about the fortunes spent on technology for the eradication of South American fire ants, yet again an invader, a bio-security concern. Even Rupert Murdoch and Fox News (the “fox” again) make an appearance, as does Charles James Fox, Leader of His Majesty’s Opposition, an anti-slave, French Revolution supporter. The theme of the ‘fox’ runs throughout the collection, in various forms, with the prominent theme being Australia’s stance on refugee treatment. For left leaning fans of activist and protest poetry this would be your tipple of choice, overseas readers, right side of politics leaning readers would probably find it either incomprehensible or offensive. But then again how many right leaning readers of poetry are there? Simply given the political theme I think the chances of this taking out an award that is named after the WA Premier, who is currently Colin Barnett, a Liberal leader, who seems to think killing endangered species (great white sharks) wins votes, and who has just recently said WA doesn’t need any enquiries into youth detention, is closing down remote indigenous communities has repealed progressive cannabis laws, and raised the age of consent for homosexual acts (against the advice of Amnesty International, the World Health Organisation and the Australian Medical Association). Then again, the judges may make a statement! Previous Laureates of the Neustadt International Prize for Literature include Gabriel García Márquez, Octavio Paz, Rohinton Mistry and in 2000 David Malouf became the sixteenth Neustadt Laureat. This year the winner was Dubravka Ugrešić, born in the former Yugoslavia and now residing in Amsterdam, I aim to get to a few of her works in 2016, once I read and digest the wonderful “Music & Literature No. 6” where there are 100 pages of literary criticism, “A Story about How Stories Come to Be Written” (translated by David Willliams), seven prints by Dubravka Ugrešić and a listing of her complete works. This “Music & Literature” edition also includes Alejandra Pizarnik and Victoria Polevá, an edition I’ll eventually get around to reading. In becoming the sixteenth Neustadt Laureat David Malouf beat a field including V.S. Naipaul, Augusto Monterroso, and N. Scott Momaday. Previously shortlisted for the Booker Prize in 1993 for “Remembering Babylon” where nominating juror Ihab Hassan said “And right there I saw a glimmer of his gift: wakefulness and precision of feeling, blended in wonder, and a delicacy that can surprise the mystery of creation itself. 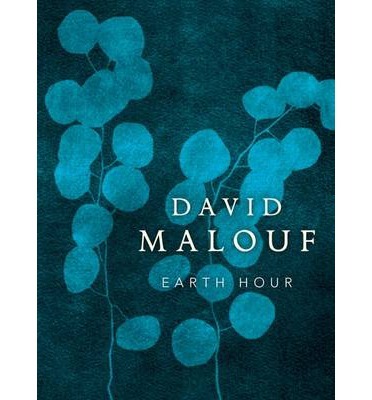 It was this elusive quality, inward with his poetic sensibility, a quality akin to love, that first drew me to the work of David Malouf” (“Encomium: David Malouf,” World Literature Today Vol. 74, Autumn 2000). He has wont eh Commonwealth Writers’ Prize and the French Priz Femina Etranger for his 1990 work “The Great World” and would be also known for his novels “An Imaginary Life” (1978), “Fly Away Peter” (1982), and “Ransom” (2009). Lesser known, or less publicized works include his poetry collections, “Neighbors in a Thicket” (1974), “Wild Lemons” (1980), and “Typewriter Music” (2007). It is his latest poetry collection that I look at today, shortlisted for the 2015 Prime Minister’s Literary Award for poetry, “Earth Hour”. Our collection opens with ‘Aquarius’, the constellation not the astrology sign I assume, “There is more to darkness than nightfall”, setting the tone for a journey through the realms, through the soil, human memory and our environment. ‘Retrospect’, tells of a memory of a walk in winter into Sèvres, a dream that comes from a simple expression on a companion’s face when walking into the forest. ‘Tocatta’ addresses bric-a-brac and the significance of seemingly insignificant objects on human memory, “and even the domino I lost/in the long grass by the passion-vine”. Throughout we have musical references and themes, there is something grander going on here, if only I could decipher it!! We have innumerable references to green (grass generally), the image of ‘breaths from mouths’ and galaxies. ‘Footloose, a Senior Moment’ is composed as fractured thoughts, spread throughout the page, replicating an ageing mind, with another musical reference “diminuendo”, (getting gradually softer) a poem dedicated to ‘Chris Wallace-Crabbe approaching eighty’. remembered, and fondly, when we are gone. Our collection has a very environmental edge, showing the hypocrisy of working all day in a garden to “troop home to pork-chop plastic bags, and gatherers/gather for hugs and mugs of steaming chai.” (from the poem ‘Inner City’), or “Small plots are watered in the shadow/of blackened chimney-stacks by men in shirtsleeves between shift” (from ‘A Green Miscellany’). Our feigning interest in environmental issues when we live luxury lives in suburban homes, consume and destroy. We also have an homage to the Australian artist Jeffrey Smart (1921-2013) in ‘Art Laterina’, set in Tuscany where Smart lived from 1963 until his death. A collection that includes exquisite imagery as in ‘Shy Gifts’, “…the book/laid open under the desk-lamp, pages astream/with light like angels’ wings, arched for take off”. This is a small book, running to eighty-six pages and fifty-nine poems, with references to writing retreats and acknowledgement of the “Scottish Arts Council for the Muriel Spark International Fellowship in 2008, and a month-long residence in Edinburgh and at Stromness, Orkney”, it is not difficult to see the creativity being assisted by Malouf’s surrounds. Not my favourite from the Prime Minister’s Literary Award Shortlist (Poetry) to date, that currently goes to Judith Beverdige’s “Devadatta’s Poems”, and with only the winning entry yet to be read, this has been an insightful journey into the works of Australian poets, something I will be doing more of during the year.